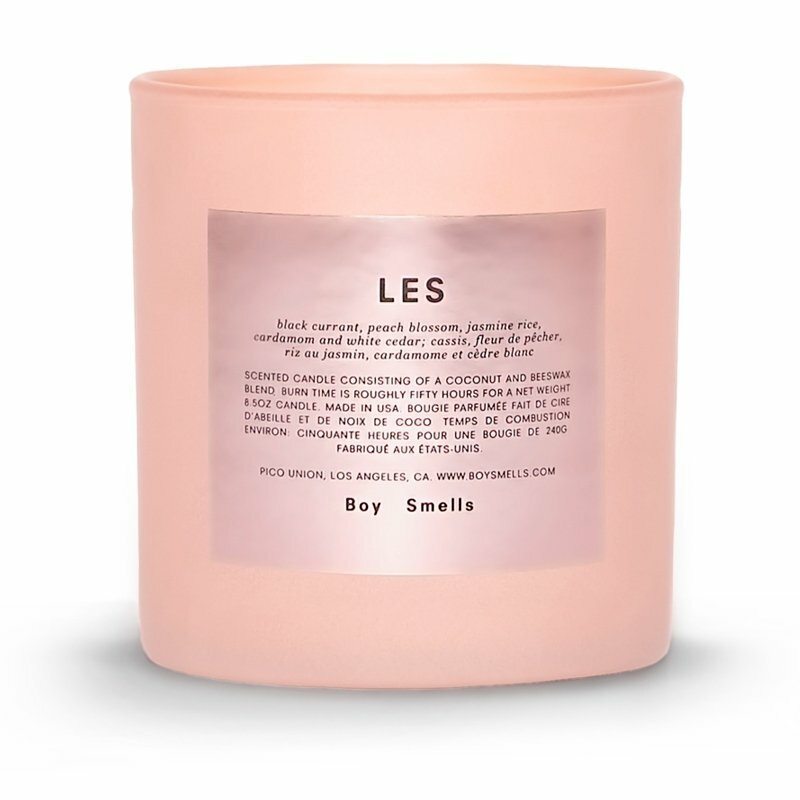 Boy Smells Les Limited Edition Pink Candle is both pink and shiny! One of your favorite candles is now dressed up in Boy Smells signature matte pink color way. To top that, the labels have been switched out to be a reflective, shiny pink. Outrageous! Totally sophisticated, but fun too. Can you say LOVE? Available in limited quantities. LES is both masculine and feminine, just like the French plural article its named after. It is also the acronym for one of New York City’s most vibrant neighborhoods—picking up on notes of rice powder, peach blossom, cardamom, cedar and Asian pear, to name just a few of its many notes. All in all, this scent is an unexpected, non-binary, cross-cultural, olfactive exploration—embracing the eclecticism that is the Lower East Side. Black currant, peach blossom, jasmine rice, cardamom and white cedar. Boy Smells Candles are hand-poured with a coconut and beeswax blend, into a glossy black glass tumbler, nestled inside an embossed matte pink carton. Each scent has been developed to have its own unique expression; notes plucked from a personal catalog of olfactory memories, then evolved and expressed in a modern context. Both familiar and unexpected.